The GTXO-14T is supplied in bulk. 25pcs per tube is the standard pack size for this product. Orders for partial quantities will receive either partial tubes or boxed products. Specially suited for telecoms application, Stratum 3 compliant models of the GTXO-14T are available. This TCXO features a high level of frequency stability, clipped sine output and analogue compensation. 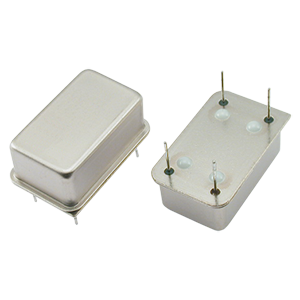 Available at high frequencies of up to 100MHz, the GTXO-14T temperature compensated oscillator features overall stability of ±4.6ppm over 20 years, including exceptionally good temperature stability with options as tight as ±0.28ppm. 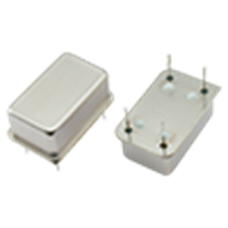 This TCXO features clipped sine output and exceptionally good phase jitter performance within a robust, hermetically sealed, DIL-14 package. To request a quotation for the GTXO-14T please use the configurable options form to choose the options you require and then submit your configured product to our team. Our expert advisers are always happy to help with your requirements and can be contacted on +44 1460 256 100 or at sales@golledge.com. Specially suited for telecoms applications, Stratum 3 compliant models of the GTXO-14V are available. This VCTCXO features a high level of frequency stability, frequency adjustment, clipped sine output and analogue compensation.